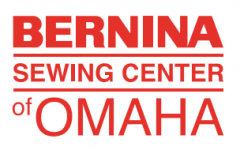 BERNINA Sewing Center has been serving the Omaha area since 1976. As the only authorized dealer for the innovative BERNINA brand, we sell and service sewing, quilting, embroidery, and serger machines. We also carry notions, thread, software, patterns, parts, and accessories to make your sewing experience more efficient and enjoyable. With a focus on complete customer satisfaction, we offer a 30 day money back guarantee policy on all sewing machines, with one year full trade up on all BERNINA machine models. Additionally, every new purchase comes with one year free service. Located at 10144 Maple St., we're a friendly community offering a wide range of classes for all skill levels, including children's classes. 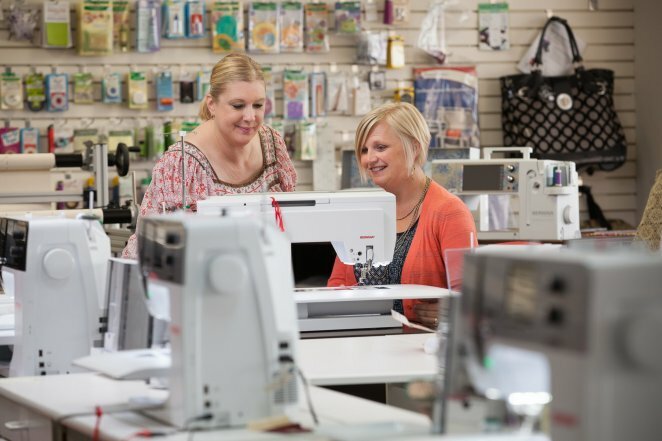 Whether you drop by our shop to join us for a class or purchase a new sewing machine, our goal is to provide you with the products, services, and support that will fuel your passion to create! Take the Maple Street exist off Interstate-680. Head East on Maple. At the first intersection turn north/left and go into the shopping plaza with Scooters and Valentino. We believe in giving back to make our community and the world to make it a better place. The nonprofits we have given to locally are Rejuvenating Women Bound No More, Open Door Mission, and Abide. National nonprofits we have given to are Operation Smile, Samaritan's Purse, 4 Paws for Ability, Wounded Warrior, and Special Olympics. We have donated machines to Omaha Quilters Guild quilt show, Cottonwood Quilters Guild quilt show, Omaha Fashion Week, and Make It With Wool. We have given not only money but our time as well to Angels Among Us to make quilts for them to give to children with cancer. Please don't hesitate to contact us with any questions you may have regarding our products or services. We're always happy to assist you in any way we can to provide you with a pleasant shopping experience and ensure that your individual needs are met.